Well, I could hardly blame the guy. Sand and snow are different beasts and as such it wasn’t worth killing a journo, or worse still pranging the motor. Disappointed, I stripped off my race gear, though after an unfortunate experience in a Builth Wells launderette, first sought privacy behind one of the oasis’s metaphorical palm trees. With wit intact, I did the interview. Khalid turned out to be a personable and considered ambassador for his sport and for Abu Dhabi. 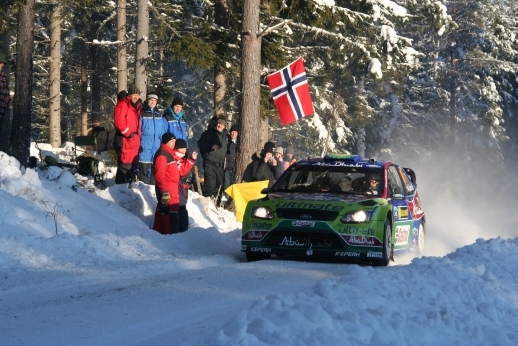 He finished 14th, climbing 12 places as he atuned to both the surface and studded tyres. Abu Dhabi hopes to join the World Rally Challenge circuit following a proving event later this year. If the venue is successful maybe Khalid will be too and perhaps I’ll get another chance to wear flameproof underpants.